To Whom Do we Give Mishloach Manot? • Every adult is required to send on the day of Purim at least two ready to eat food items to at least one friend. This is called Mishloach Manot, (some refer to it as Shalach Manot or Shalach Manos). 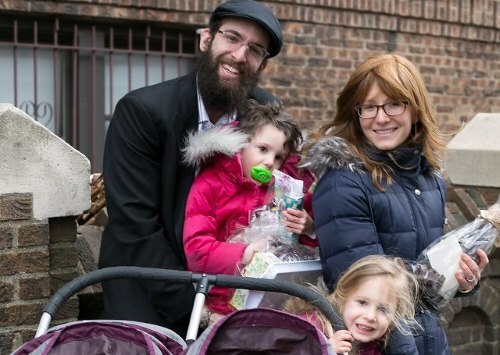 Even one who is so poor that he is supported from public funds must fulfill the mitzvah in the minimum manner. Of course, those who send Mishloach Manot to more than one person are praiseworthy. Also one who is ill and in a hospital during Purim must fulfill this mitzvah, even if he only exchanges the food with another Jewish patient. • If one is not able or cannot afford to send his one Mishloach Manot, he can make an exchange with another and in this way they both fulfill the mitzvah. 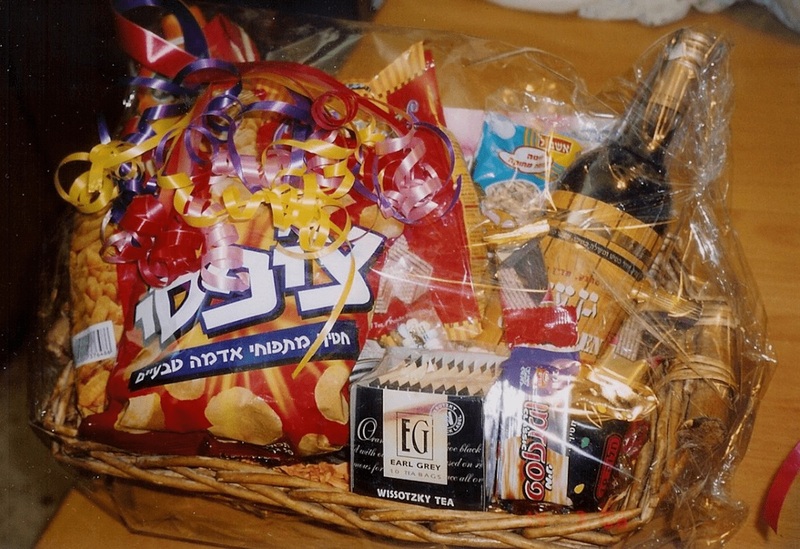 • If one sends Mishloach Manot to another individual and the recipient is not home and does not receive it until after Purim, that gift can not be considered as Mishloach Manot. • One who is traveling and is away from home, must make sure to fulfill the Mitzvah where he is. He cannot rely on the gifts that his family will send for him, unless he specifically notifies them (either in advance, or on that day through the telephone, email, etc.) that he wants them to send a Mishloach Manot package on his behalf. It is customary to reciprocate, i.e. the recipient should also present the giver with a Misloach Manot packet1. When to Send Mishloach Manot? 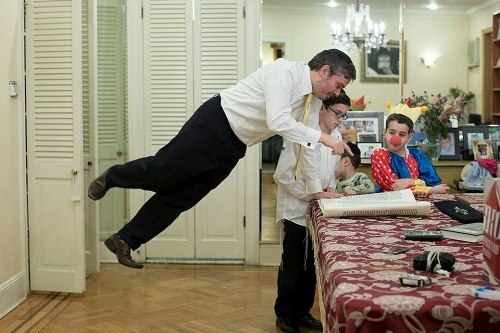 • To fulfill the mitzvah of Mishloach Manot, one must send it during the day of Purim. One does not fulfill the mitzvah by sending it the previous or following night. • It is preferable that the Mishloach Manot be delivered after the Megillah reading, once the blessing of Shehecheyanu prior to the Megillah reading has been said. How to Send Mishloach Manot? • Mishloach Manot should be sent by males to male friends and by females to female friends. One should not send Mishloach Manot to an individual who is in the year of mourning for one's parent, or in the thirty day mourning period for one's spouse, sibling or child, G‑d forbid. However, the mourner is permitted to accept the Mishloach Manot if someone who was unaware of this law did send the mourner Mishloach Manot. • It is preferable that the Mishloach Manot be delivered through a third party. This third party may even be a child. However, one who personally delivered his own Mishloach Manot has still fulfilled the Mitzvah. One can fulfill the Mitzvah of Mishloach Manot by sending it to his rabbi, or a teacher to his student, a father to his son or a son to his father. • When the Shehecheyanu is said at the morning reading, one should have in mind that this blessing should also include the mitzvoth of Mishoach Manot, giving of charity to the poor and the festive Purim meal. All the above is based upon the Nitei Gavriel 5760 edition, chapter 54. I love that photo where it says that you don't need to fly at the megilla reading! If one is not able to receive Mishloach Manot during the first yr. of mourning a parent, does he still have the obligation to give Mishloach Manot.